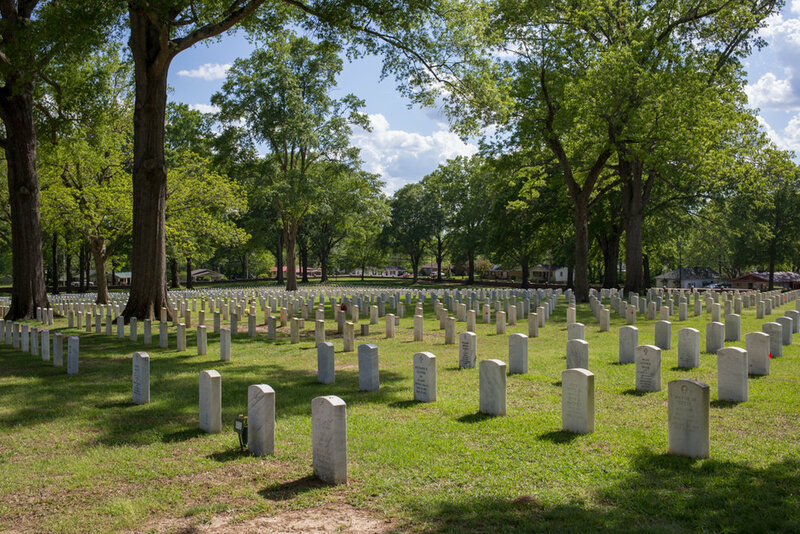 Established in 1866, Corinth National Cemetery is located in the northeast corner of Mississippi. 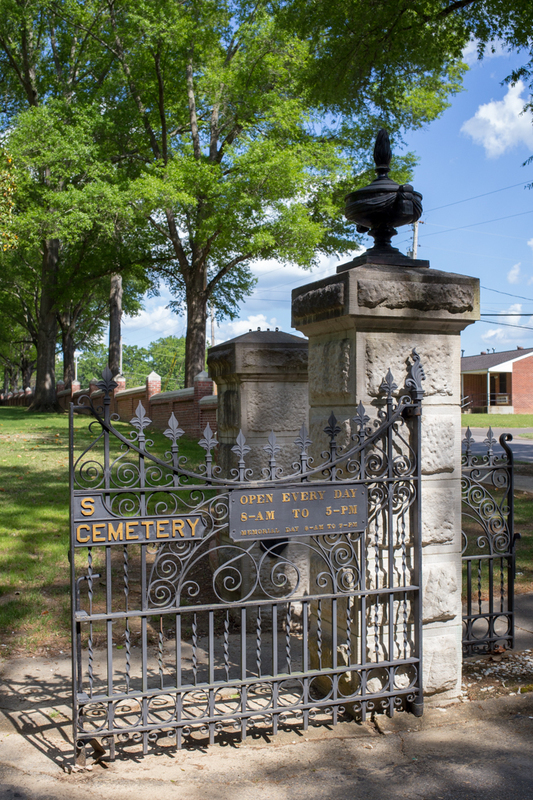 The two-acre cemetery sits on the site of one of the bloodiest battles of the Civil War. Two battles —in the spring and fall of 1862—occurred in Corinth, which was located at the junction of two major rail lines. In May, Confederate troops—suffering from poor water supplies, typhoid and dysentery—secretly retreated and Union troops took over the abandoned town. In October, 20,000 Confederate troops returned to Corinth. The ensuing battle resulted in 2,360 Union and 4,800 Confederate casualties. In the end the Union remained in control of the town, and used it as a base for additional conflicts in Mississippi, Alabama and Tennessee. A national cemetery was established to bury the Union dead and by 1870, the cemetery contained 5,688 interments, including almost 4,000 unknown soldiers. Three Confederate soldiers—one unknown and two known—are also buried in the cemetery. Some of the unknown dead's graves are marked with numbers, while others have stones that simply say "Unknown U.S. Soldier." 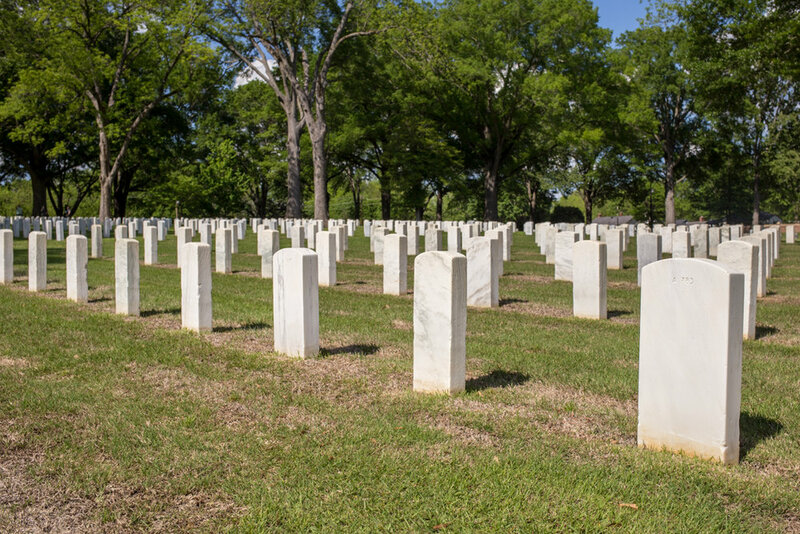 In order to be eligible for burial in a national cemetery, the deceased must have been a member of the armed forces and have met a minimum active duty service requirement. A veteran's spouse and children may be eligible, even if they predecease the veteran. 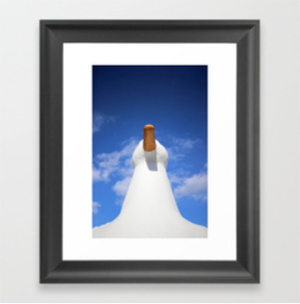 In some cases, the spouse's name is placed on the back of the headstone. National cemeteries lack the variety and interesting design details that I usually seek out in cemeteries, but they're sobering places to visit. It's hard to look at row after row of identical white stones—most representing a life taken in battle—and not wonder if the price we pay for near-constant war is really worth it.